A plastic wallet containing 12 colouring pencils and 8 HB pencils. You can personalised them with a name of up to 15 characters. The name will appear in uppercase on pencils, regardless of how it is entered. 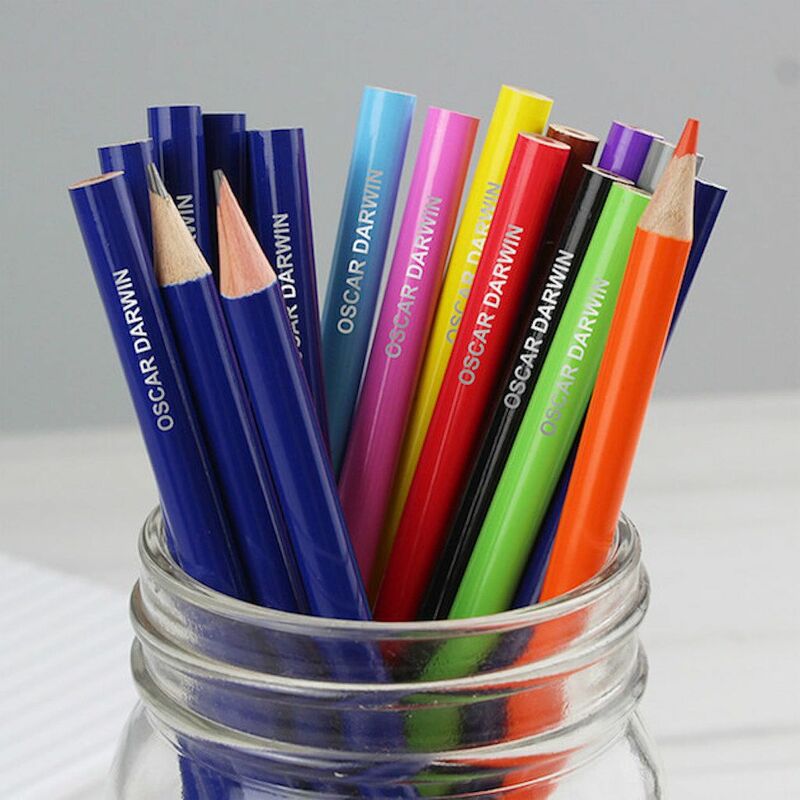 The perfect gift for school or to accompany any colouring book!